Wesley Ward certainly dazzled at Royal Ascot in 2009 with two winners and the American trainer is targeting the same races again as he bids to enjoy further success at the meeting. Strike The Tiger was Ward’s first winner when springing a 33/1 surprise in the Windsor Castle Stakes, with Jealous Again then securing another 5f victory in the fillies only Queen Mary Stakes. It is the same sprint double that Ward could land this time through Ogermeister and Sweet Emma Rose respectively, although it is the third member of his three-pronged assault on the meeting that is deemed to have the best chance. No Nay Never was a comfortable victor on his only career start so far when getting little more than pushed out by Kentucky Derby-winning jockey Joel Rosario and the pair will team up again at Ascot. 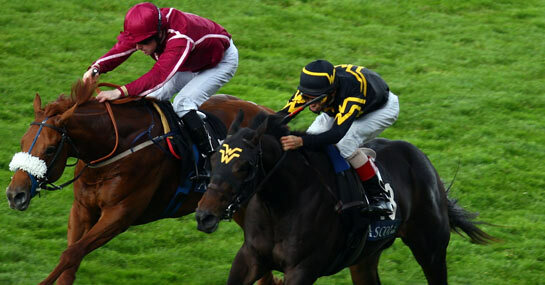 The plan is to run the horse in the Norfolk Stakes and must enter calculations if the ground stays on the quick side. The Queen Mary is the planned engagement for Sweet Emma Rose, who was another to taste success on debut. She has finished fourth since, but Ward has admitted that he did not have the filly at 100 per cent that day and is open to improvement. Ogermeister looks the least likely victor of the trio, partly because he is bred to produce his best on dirt, although it would be foolish to write him off as he has won the only two-year-old maiden to take place this season so far in New York. Given that all three entrants have some sort of chance in their respective races, particularly if the rain stays away, 3/1 is more than a fair price that Ward adds another Royal Ascot winner to his resume in 2013.